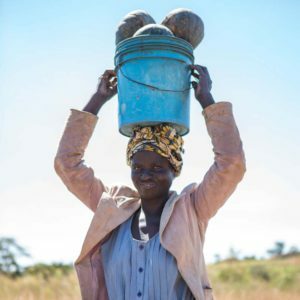 As we continue to celebrate the Easter Season, Jessica Coffin, CAFOD’s Communications Officer, shares a hopeful story from Zambia. In the days leading up to Easter Sunday, I came across a story. A story that was full of obstacles and hardship, but also full of hope. It reminded me of the hope that comes with Easter. From the age of five, Mulenga lived with his grandfather in the village of Chushi in Mbala, Northern Zambia. Life was challenging. 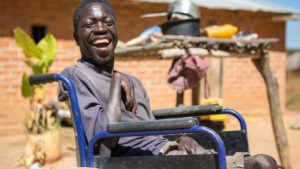 Mulenga had complex physical and mental disabilities but he did not have a wheelchair, so his only way of moving around was by rolling his body or being lifted by others. Not only was he covered in cuts and bruises from rolling on the floor, but as he grew, his joints became incredibly painful. The only remedy neighbours could think of was to place his searing limbs into the damp earth. “People like him are often left to die in the bush,” a local villager said. Mulenga was not just blessed with the ability to move, but the Sisters also gave him fertiliser to grow crops and provided him with farmer training. 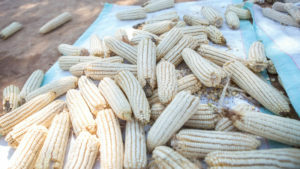 He now hires villagers to help him to grow maize and has successfully harvested such large amounts of produce that he plans to set aside some of the profits from selling the maize. He’ll keep the money as a safety net, available to help out any of the villagers who support him, should they fall on hard times. As Easter symbolises new life, so too did the death of Mulenga’s grandfather. Despite the grief of losing one who had supported and loved him, the period of darkness and struggle was followed by Mulenga receiving a wheelchair and farming training – a new chapter of life, filled with promise. Because of the Catholic community’s response to CAFOD’s Lent Appeal, CAFOD’s partners across the world are able to provide thousands of people like Mulenga with a new chapter of life. Thank you for your generosity this Lent.